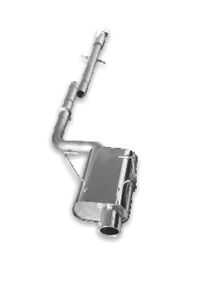 Billy Boat Performance Exhaust has once again taken the lead in the exhaust aftermarket by designing a revolutionary T-304 stainless steel performance exhaust system specifically designed for the Mini Cooper S. The system is built for maximum exhaust flow to create a mellow, deep throaty sound with no interior resonance. 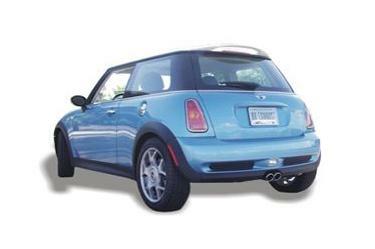 Installation is simplified with a bolt-on system and uses twin 3" round tips. Installation is simplified with this completely bolt-on system. Absolutely no cutting, welding or modifications are needed for installation! 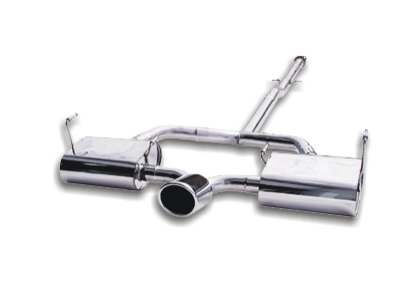 Each muffler by Billy Boat Performance Exhaust is custom-tuned to match its application providing the perfect combination of performance and sound quality.